MultiBrief: Is Michelle Obama’s girls education program coming to an end? Is Michelle Obama’s girls education program coming to an end? There have been conflicting reports about the ending of Michelle Obama's girls education program. The start of this month saw a Trump administration memo announcing the end of the "Let Girls Learn" program. The backlash was swift and fierce. Within a week, the government announced that it is not going to stop or make any changes to the program. The "Let Girls Learn" program is an international initiative to make education possible and accessible for adolescent girls in developing countries. It is a platform for the Peace Corps to show their strength and compassion for community development, for America's solidarity with the real people beyond politics. The intergovernmental initiative is primarily run by the Peace Corps and the United States Agency for International Development, with a focus on prioritizing girls' education and empowerment. The initiative has been run for 56 years, but Obama's support lent a strong backing and extraordinary support when the former first lady helped launch the "Let Girls Learn" marketing in 2015. As a branded campaign, it received bipartisan and interagency support, government dollars as well as private sector funding. Last year, the White House announced $5 million in private sector funding for the program, contributing to the $1 billion in total financial pledges. The fund is to be distributed for programs across 50 countries to help girls in developing countries who struggle for their fundamental rights to gain an education. Along with Obama, celebrities joined in to promote and champion the cause bringing global recognition. Education is the backbone of our success, not just for girls here in the U.S. but the world over. For countries lacking the necessary resources, this initiative could go a long way to empower women and improve social conditions as a whole. No society can progress when half of its citizens are mired in ignorance and illiteracy. Even in the U.S., girls have a long way to go before they can claim 100 percent literacy. In developing nations, this number is even more dire. According to 2013 UNESCO reports, fewer than 40 percent of countries provide girls and boys with equal access to education. 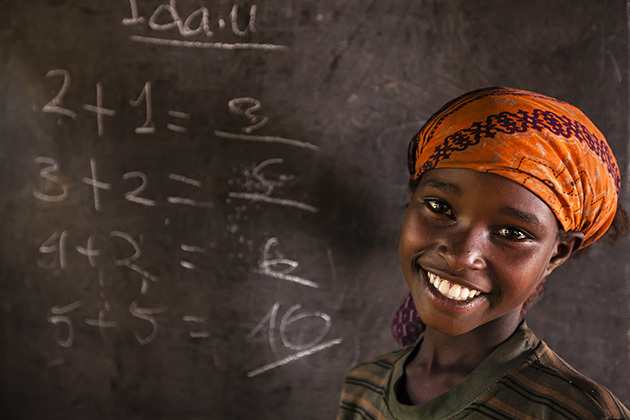 In some nations, girls are more likely never to enter primary school. Despite all international and national efforts, 31 million girls are still out of school around the world. The memo that started the rumors allegedly stated that the Trump administration does not want to use the "Let Girls Learn" brand or continue to let it run as a standalone program. Some aspects of the program may continue but will perhaps be incorporated into other broad initiatives. It came on the same day when the government also hinted at changing Michelle Obama's healthy school lunch initiative. Like the signature girls education initiative, the former first lady also championed the improvement of the nutritional quality of school meals. Health advocacy groups, school boards and parents are equally concerned as this could mean significant regression regarding nutrition that can adversely affect student health. Education and child nutrition go hand in hand, and the end of either program could have severe effects. But we can hope that the new administration will see the light and continue with these efforts. Both Ivanka Trump and first lady Melania Trump have announced their interest and passion for women's empowerment and entrepreneurship. While the new administration is still in its early days, if they want to help and make a positive impact, saving and championing the "Let Girls Learn" program could just be the right thing to do. Education is the most powerful way to promote and ensure widespread national and global success.